The polished and sophisticated Regent Memory Life Chest can preserve your most valuable Life Chest moments. In rubbed antique gold with streaks and speckles of ebony, the distinctive scalloped design makes it an elegant addition to any room in your home. 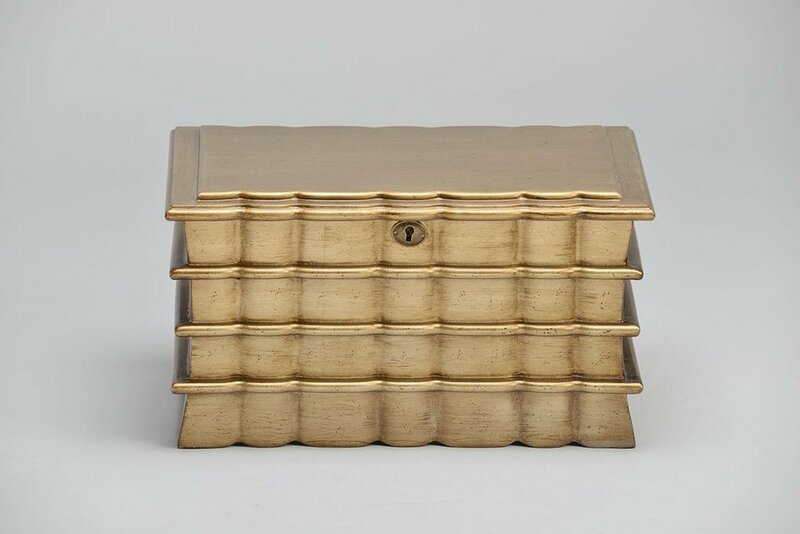 The lining is rich velvet and covers the interior of the Regent Memory Life Chest.